Having a professional website for your political campaign is essential if you want to inform about your political program, present ideas and aims, campaign progress or team members and candidates online. An appropriate website for political campaigning is set up in no time as long as you have the right tools at hand. If you decide to create your website based on WordPress, the next thing you’ll need is a suitable political WordPress theme which you can use to display your content like upcoming events, team members, candidates page, social media activity or fundraising information well-organized. WordPress themes for political campaigns, elections, fundraising platforms or else, might need certain features like event calendars to display upcoming events and dates for speeches, meetings or else. A section to display contact details right on front at your homepage to help people reach out to you or you could also have an extra contact page with one or even more contact forms where people could contact you right away with their requests and wishes. Another popular feature of political WordPress themes usually also is a counter that shows the remaining days until the election or other events related to the purpose of your website. 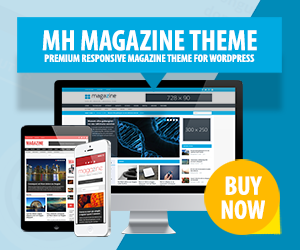 Amongst the many available WordPress themes on the market, there are some templates which are especially designed and developed to meet the needs and requirements of political campaigns, fundraising platforms, political elections or related purposes. We have collected some of the most popular and best rated political WordPress themes with all kinds of different features to create appealing yet efficient online presences. With political WordPress themes you may present your campaign or other venture at a professional level and thus reach out to your audience in the best possible way. Politico is a simple yet professional WordPress theme for classic political WordPress websites. You can take advantage of the included slideshow feature to present your political campaign or candidate in spotlight. This political WordPress theme is mobile, retina and translation ready in case you would like to translate your site into different languages as well….